are manufactured with high-quality NSF approved material and will accommodate most standard membrane elements. The dual ring design ensures a leak proof connection. 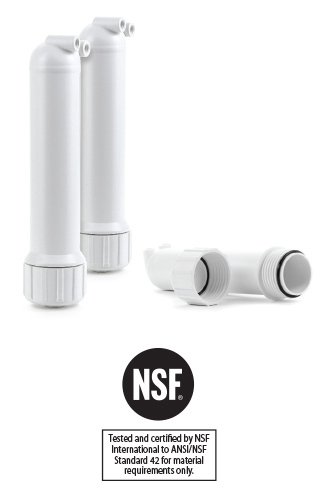 are NSF Standard 58 certified for use in Reverse Osmosis Water Treatment Systems. 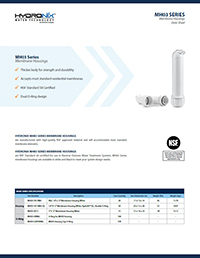 MH03 Series membrane housings are available in white and black to meet your system design needs..